His incredible entrepreneurial skills led the company to become an internationally-renowned brand and a byword for quality Italian-made products. His passion for mechanics and his inborn ability to find innovative solutions have always been his distinctive mark and have become a prerogative of minipack®-torre across the world. As his children, we have been in the factory since we were very young, with first-hand experience in terms of mechanics and used to run through the NC machines, breathing in their smell. 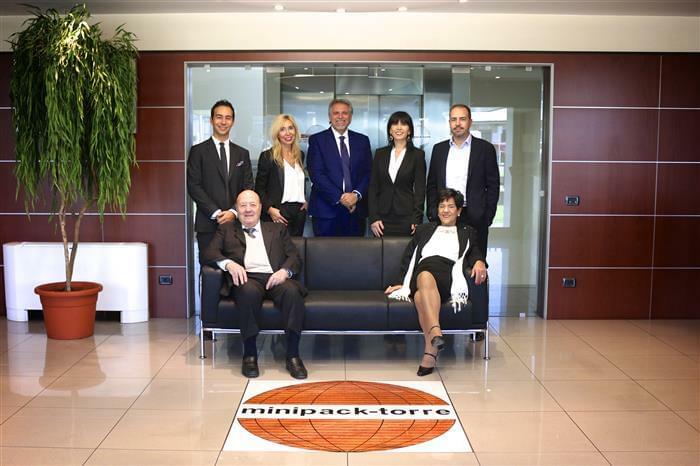 We have now been appointed at the helm of minipack®-torre, heading for new future challenges whilst bearing in mind the lessons handed down to us. We would like to thank our father for this important legacy and because he taught us that great projects are built with courage and perseverance! He taught us that plights do not occur to cause us to give in, but to make us understand how strong we are! In transmitting us strength, determination, passion, creativity and unconditional love for the company, we hope we will always stay true to freedom of thought and the courage of being daring. We hope we will always be able to think out of the box and exceed perfection, whilst bearing in mind that ongoing improvement is the way to success. For this reason we wish him to continue passing us on his drive and determination for many years to come! To our father Francesco Torre.